Ever wondered what the blood sugar reading is all about? Ever heard somebody telling that their blood glucose levels rose to 500 once? Well, if somebody experiences blood sugar levels of as high as 500, it is certainly a medical emergency that needs to be responded to immediately; else the condition can quickly turn fatal. Optimal blood glucose levels are crucial to the health and survival of an individual, since glucose is the main energy source for the body. 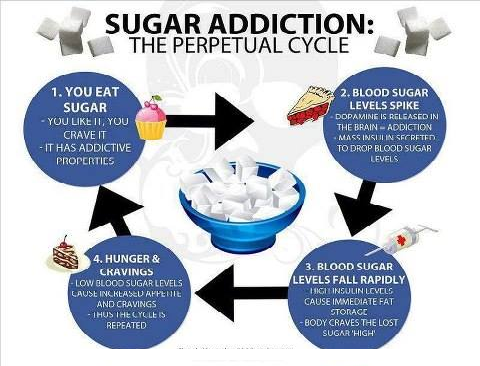 In a normal human body, blood sugar levels begin to rise after a meal, which causes pancreas to release insulin in order to help the cells use glucose for energy. On the other hand is a diabetic, whose blood glucose levels rise when pancreas secrete little or no insulin for control sugar levels. In some patients, these levels may rise as high as 500 mg, which is truly a life-threatening condition. Such a condition may cause serious complications for pregnant women, resulting in birth defects. The condition wherein the level of blood sugars scale over 500 mg can be devastating. If such a condition is left untreated, it can cause severe complications, including blindness, gangrene, heart disease, hypertension, stroke, depression, nerve damage, kidney malfunction, diabetic neuropathy, and limb amputation. Blood sugars over 500 mg can cause extreme damage to the retina of the eye - one of the prime causes of blindness in diabetics. Such a high glucose level can damage nerves and cause wounds that never heal, gangrene, and ulcers. In some patients, diabetic neuropathy may require foot and leg amputations. Uncontrolled blood sugar levels can severely damage the kidneys. Such a state is known as diabetic nephropathy - the prime cause of kidney failure in diabetics. People with high blood glucose are easily susceptible to high blood pressure and high cholesterol and triglyceride levels. 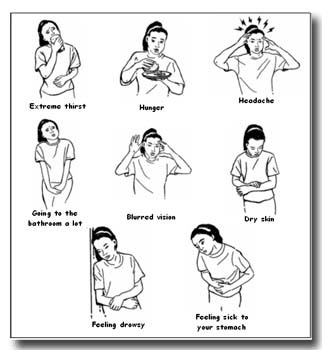 If the patient is suffering from hyperglycemia, there is a high risk of greater complications. Blood glucose level over 500 mg runs the risk of causing atherosclerosis, that is, hardening of the arteries that may cause reduced blood flow to vital organs. This condition may result in severe complications, such as heart attack or stroke, brain hemorrhage. A heart attack may result if there is reduced supply of blood to the coronary arteries. Low supply of blood to the brain can result in a stroke. The condition may lead to reduced blood circulation in the arms and legs. High blood glucose can cause diabetic cardiomyopathy - a condition in which the heart's muscle tissue becomes inflammed. High blood sugars over 500 mg can cause damage to nerves in the autonomic nervous system, resulting in gastroparesis - paralysis of the stomach. Some patients may even experience chronic diarrhea. When blood sugar levels rise, kidneys tend to eliminate the extra sugar through urine and release large amounts of fluid, causing frequent urination or polyuria. As a result, the person experiences extreme thirst or polydipsia or even feels dehydrated if lost fluids are not replenished immediately. Dehydration risks causing high blood sugar emergency. For Type 2 diabetes patients, such an emergency is called hyperosmolar state, while in type 1 patients, it is known as diabetic ketoacidosis, resulting in the buildup of acids and ketones. If your blood glucose monitor reading shows 500 mg, this is no less than an emergency situation, which requires the patient to immediately see a physician. The doctor will do a proper diagnosis of the condition and administer high doses of rapid-acting insulin to lower glucose levels down immediately and bring the situation under control. Patients who regularly suffer from high blood sugars must consume plenty of water each day. Those on insulin therapy must check their urine for ketones and follow up with their doctor on a regular basis to ensure they are taking adequate precautions to keep the blood sugar levels down.